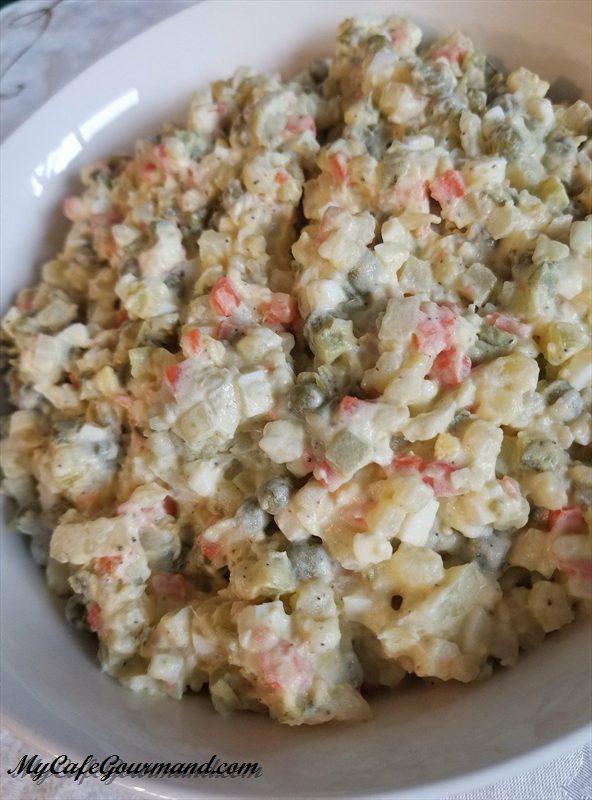 This is the most traditional Russian salad we make for any holiday, and New Year’s Eve is the biggest holiday of all, when “Olivie” would be on all tables. What makes it more special is “leftovers”… You can eat it the next day and joke that the salad is from last year. Cook potatoes and carrots in a medium pot in their skins until tender. Do not overcook. Peel the vegetables and eggs. 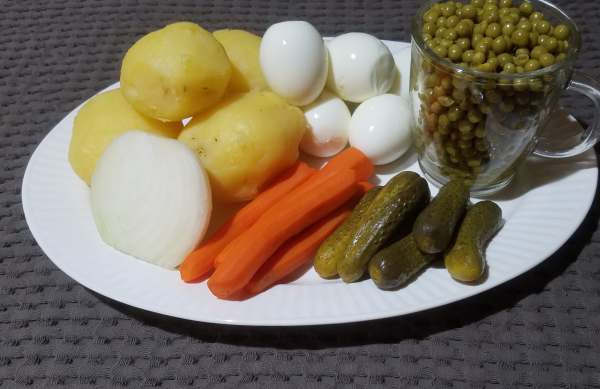 Cut the potatoes, carrots, bologna, eggs, pickles and onion into small 1/4 inch squares. Mix all the ingredients with mayonnaise, salt and black pepper. Chill salad before serving. For a fancier presentation, serve it in mini cups. 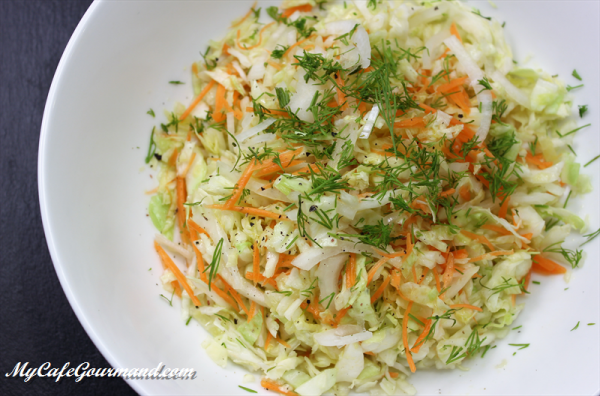 This cabbage and carrot slaw is simple, healthy and nutritious. It is super easy to make and requires only a few ingredients. A perfect side dish to literally anything. 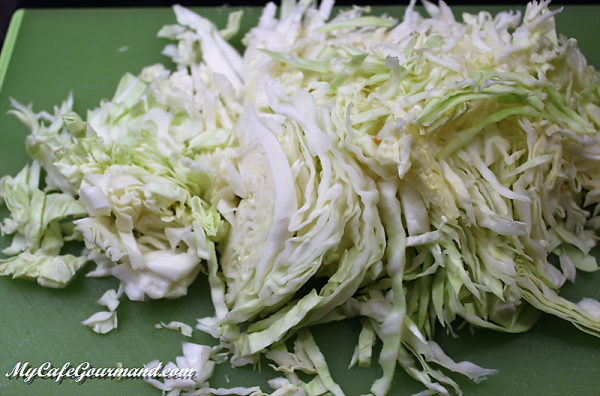 Cut the cabbage in half and peel of a few of the thin outer layers. Cut each half into quarters, then cut out the tough core in the middle. Slice each quarter crosswise into thin shreds. 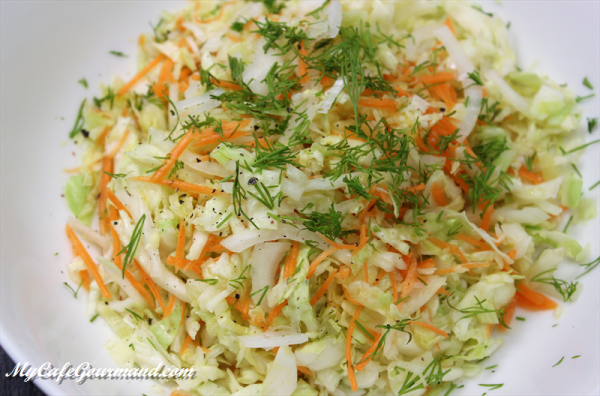 Add salt and squeeze the shredded cabbage with your hands. 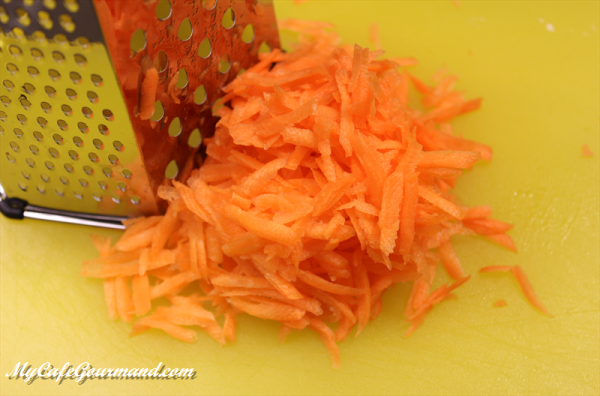 Peel the carrots and shred them. 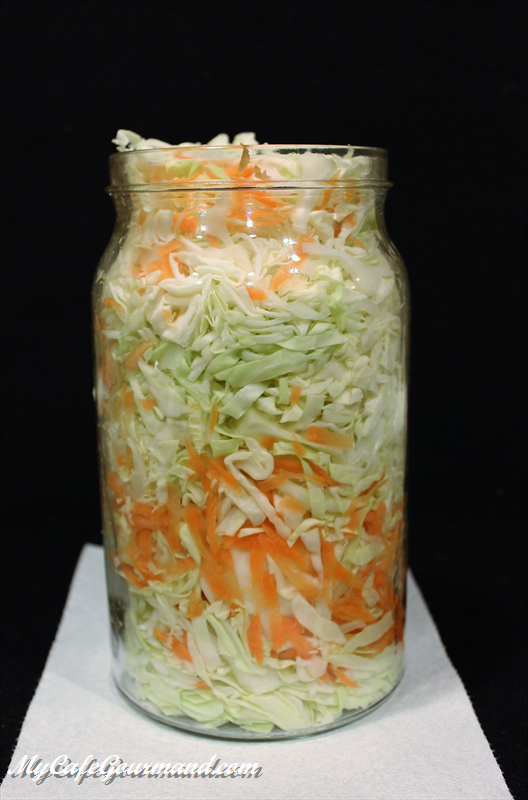 Transfer the shredded carrots and cabbage into the mixing bowl. 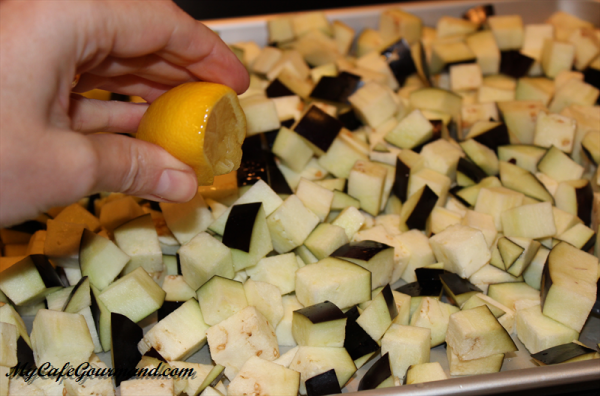 Add sugar, white vinegar and olive oil. Gently toss everything together. Taste and add some more salt if needed. Garnish with fresh herbs before serving. 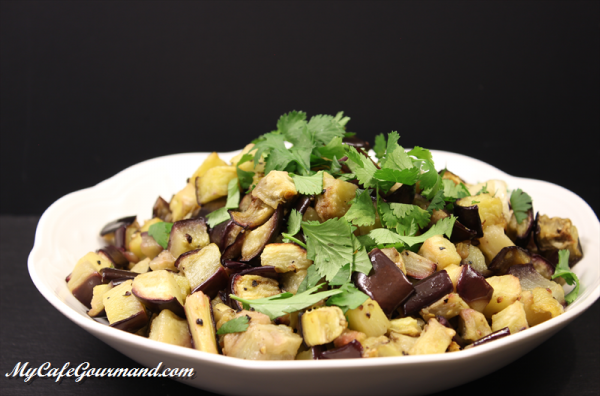 It doesn’t take much time to roast an eggplant in the oven, all you have to do is: cut it, salt it, drizzle with some lemon juice and olive oil, toss it and mix it couple of times while it is cooking. You can serve it by itself or as a main dish, with meat or fish. It tastes even better next day. Perfect for next day lunch or picnic. 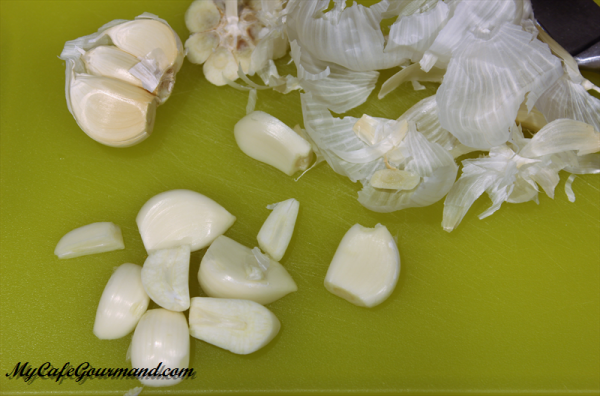 If you are not a garlic lover like I am, add only 2-3 garlic cloves instead of a whole garlic bulb. Heat the oven to its hottest setting,typically around 500 degrees Fahrenheit, and turn on the broil. 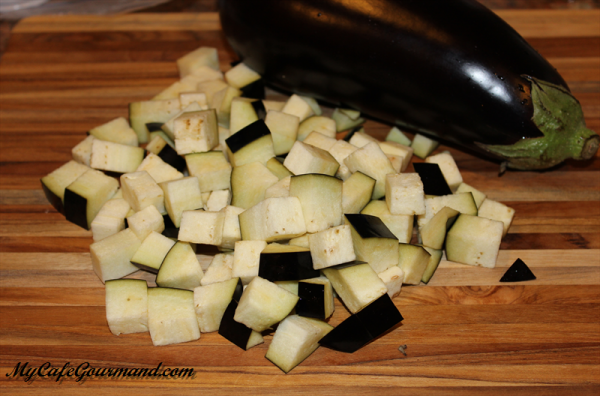 Cut the eggplant into 1-2 inch cubes. 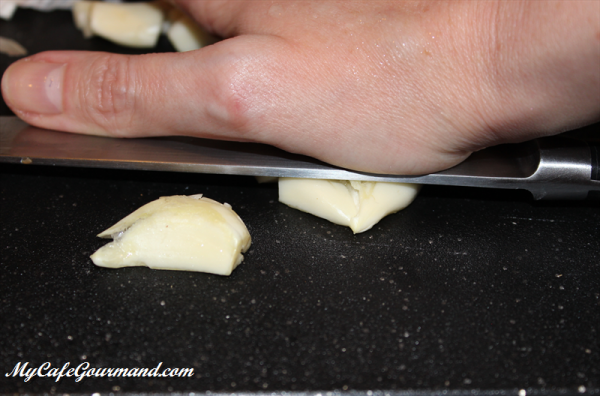 Transfer them to a baking sheet and spread out into a single layer. Peel garlic and smash it with a heavy knife. Add garlic and pepper, give it a good mix with spatula or your hand. 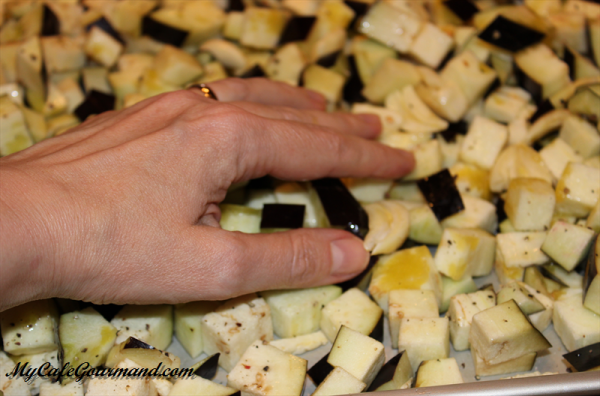 Place a rack on top of your oven and cook the eggplant cubes for 10 minutes. 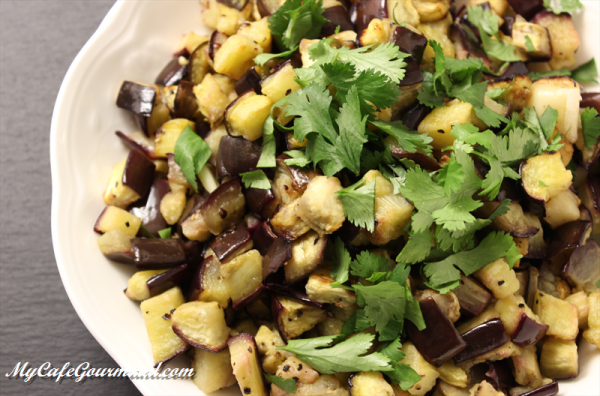 Carefully take the eggplant out and stir it with a spatula. Return to the oven for 10 more minutes. Taste the eggplant. Cook for another 5 minutes if needed. 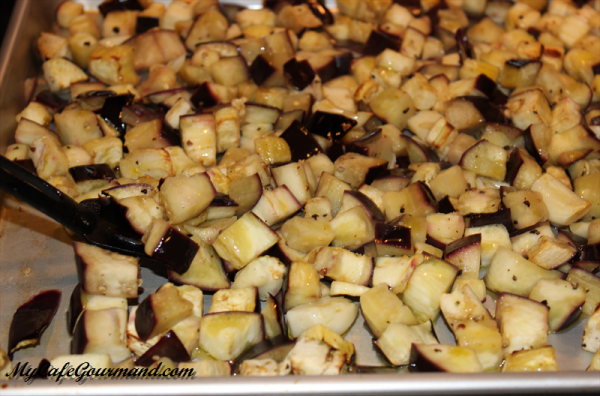 Remove the eggplant from the oven. Garnish with fresh herbs and serve hot or room temperature. 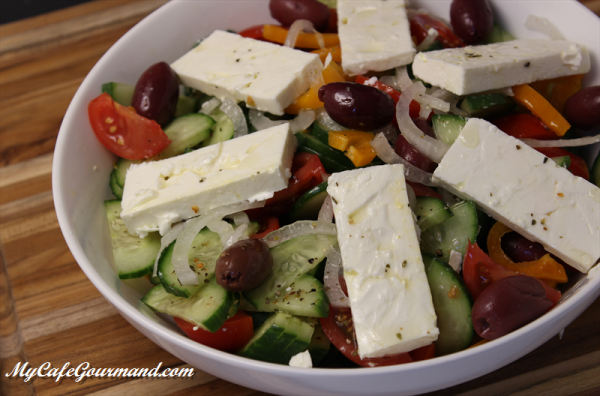 This Greek salad is one of my favorite things. No matter how much I make, it seems to always disappear. 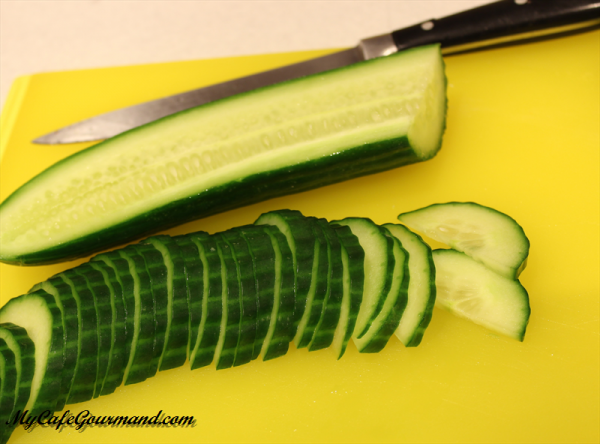 Slice the cucumbers in half long ways (remove seeds if desired) and cut 1/4 inch slices, starting at one end, so that you end up with bunch of half moon shapes or the letter "C". 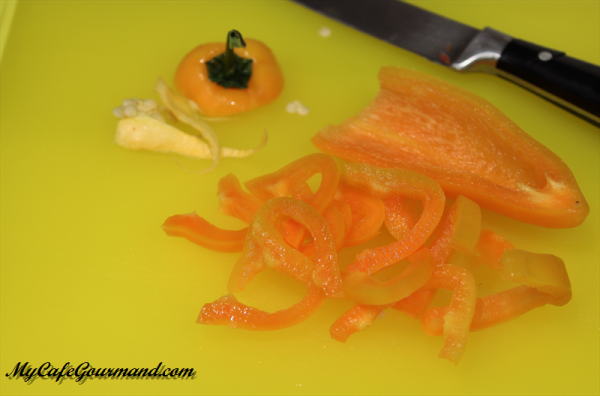 Remove the core and seeds from the bell pepper and cut into strips. 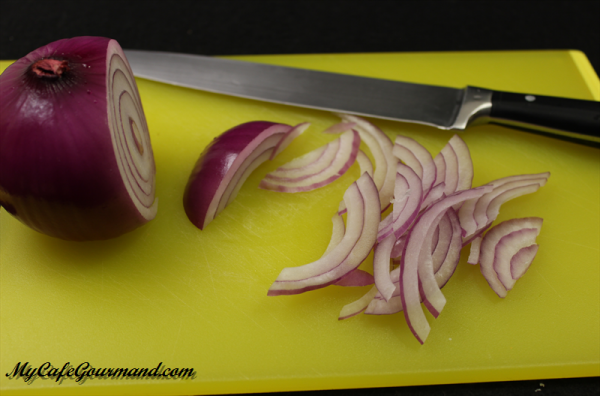 Peel the onion and cut into perfectly thin slices. Combine the tomatoes, cucumber, onion, bell pepper and olives in a bowl. Season with salt, pepper and dry oregano. Mix. Top it with sliced feta cheese. Squeeze the lemon on salad and drizzle with olive oil. 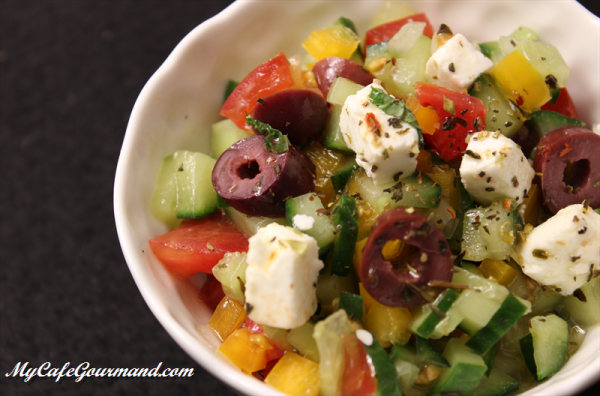 If you like to serve your Greek Salad in individual cups, you can cut the vegetables into small cubes. Cans are usually pretty handy at home or on the go; there is no need to go to a store and they are quick to prepare. 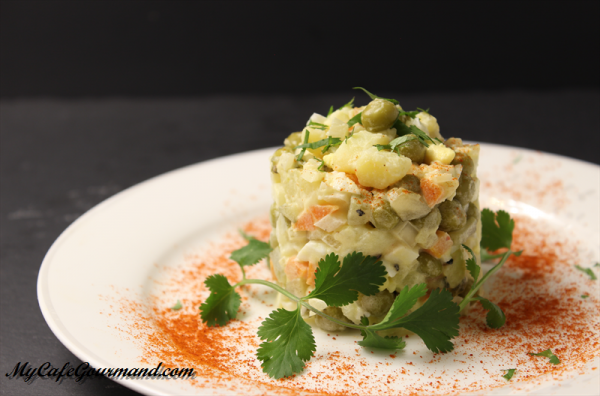 This chickpea salad is a great example of the usefulness of cans. Just open a can and mix it with other ingredients available at home. 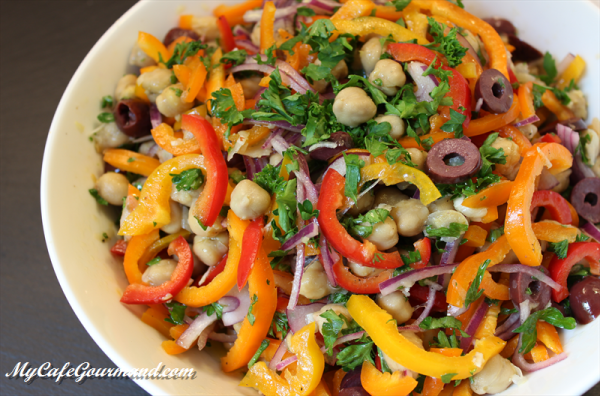 There are multiple recipes of salads with this legume: here is one of them with bell pepper, olives and fresh cilantro. 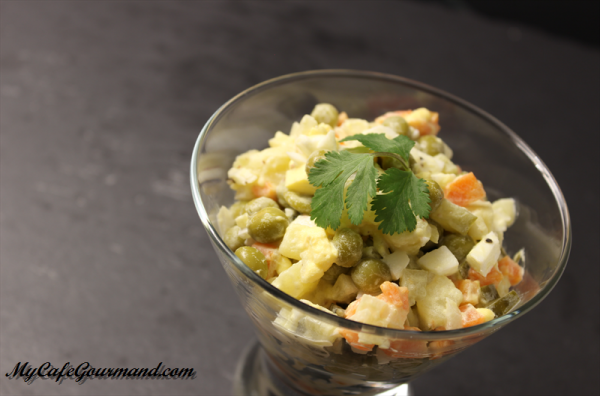 This salad can by served immediately or chilled for few hours to get all of its flavors. Combine all veggies in a bowl. Season to taste with salt and freshly ground pepper. 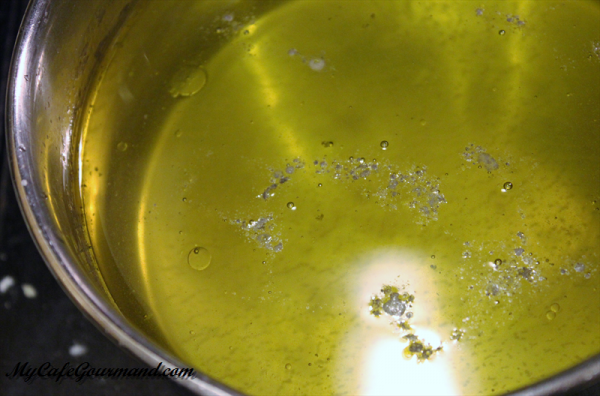 Drizzle with freshly pressed lemon juice and olive oil. Toss gently. 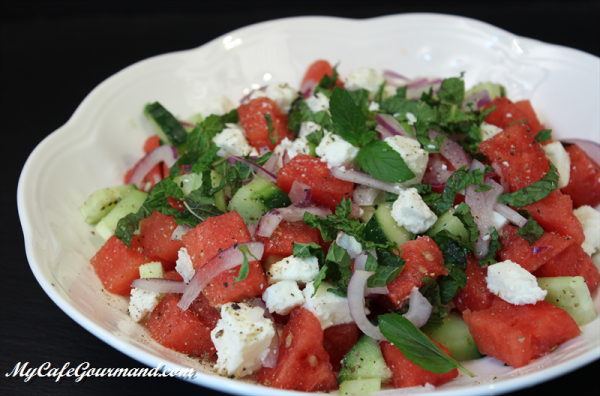 This fantastic watermelon salad with cucumbers, feta cheese and onion is perfect for spring and summer. 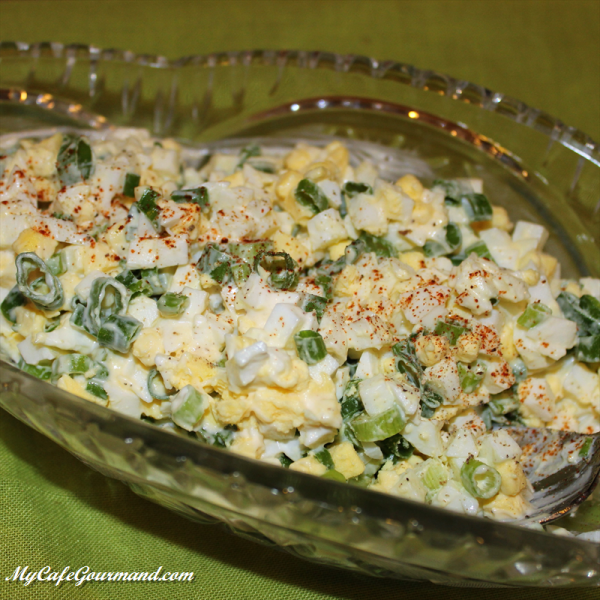 Sweet, savory and delicious salad or side dish will look gorgeous for your next BBQ party. The feta cheese is already salty, no need to add salt. Only pepper needs to be added, preferably freshly ground pepper. Make sure to leave the salad in the refrigerator long enough before serving. In a large bowl, gently toss all cut ingredients, drizzle with lemon juice and season with pepper. Cover and refrigerate for about 1 hour before serving. 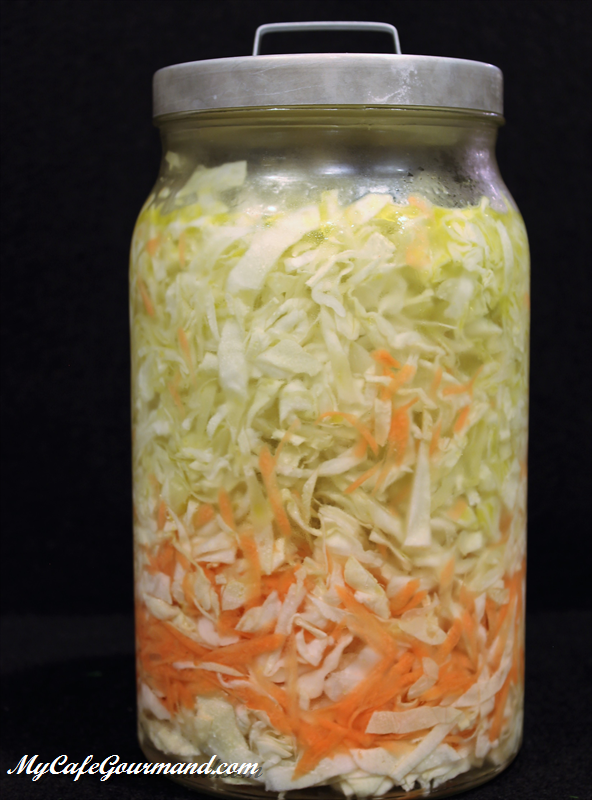 For my version of pickled cabbage, cabbage and carrots are marinated with vinegar. 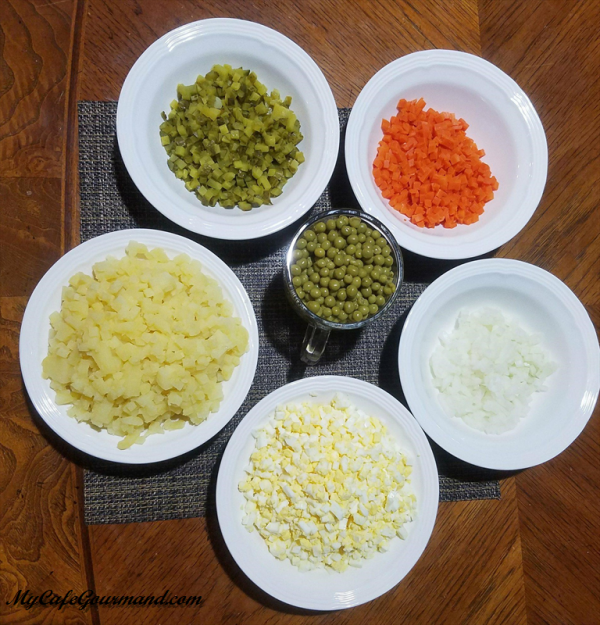 This is an easy recipe and ready to eat the next day! 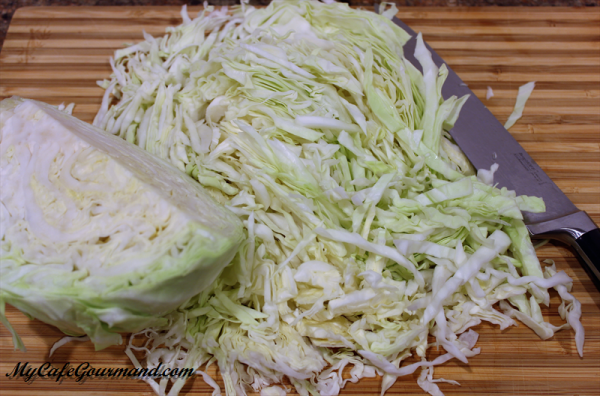 Cut, core and shred cabbage finely. 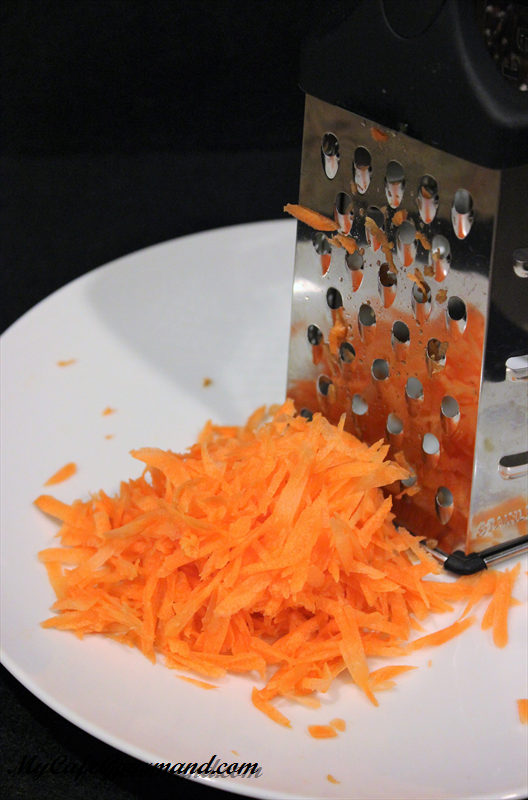 Peel the carrots and grate. Peel the garlic and cut each clove into 4 pieces. Place vegetables in a mason jar. Meanwhile, in a large pot, boil water with salt, sugar and olive oil. Remove from the heat and add vinegar. 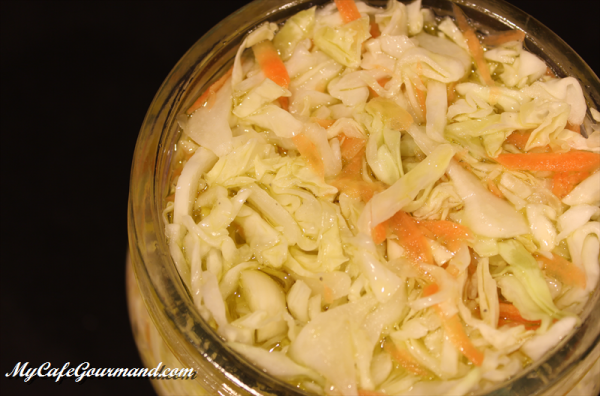 Pour hot marinade over the cabbage and let it cool completely. Cover with tight lid and store it in the refrigerator. Cabbage will be ready in 12 hours. 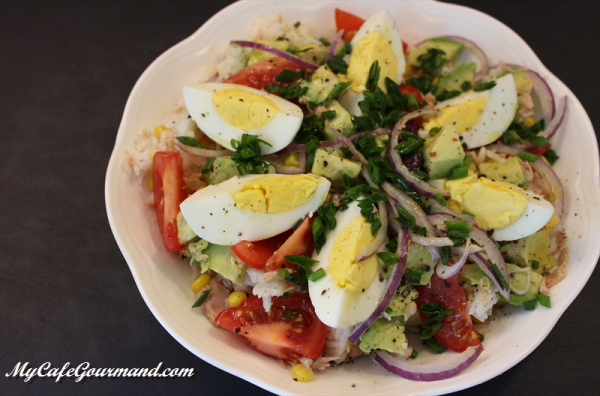 Looking for a “quick” salad to make? 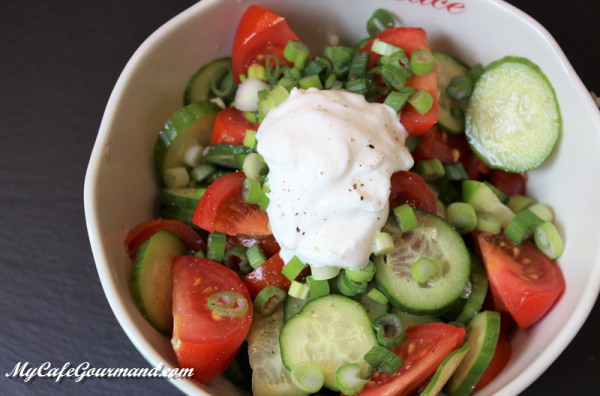 This cucumber and tomato salad is not just fast and easy salad to make, it is also a great summer side dish that goes perfectly with fish, potato, rice, omelet or just by itself. Adding any other vegetables to this salad is not prohibited! Use olive oil instead of sour cream if you don't like sour cream. 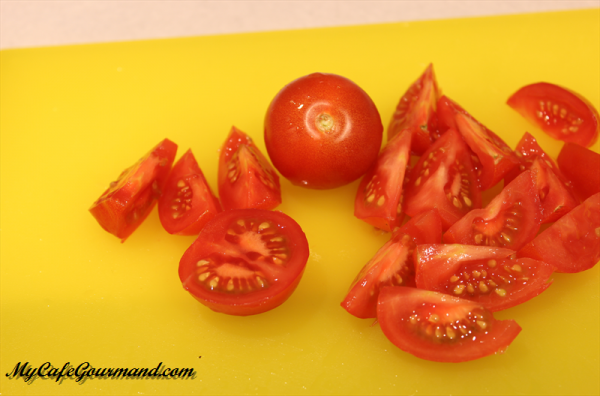 In the bowl, combine the cucumber, tomatoes, garlic, green onion, salt and pepper. Add the sour cream and gently toss. Serve right away. Perfect simple and plain salad, of which I think every time I see bunch of green onion. You will only need 3 ingredients to make this salad. I normally use mayonnaise as a dressing, but you can use sour cream as well, or mix of sour cream with mayonnaise (50/50). To avoid over salting your salad, taste the salad right after adding mayonnaise, and only then add salt and pepper. Don't squish the salad, it has to stay light and fluffy. 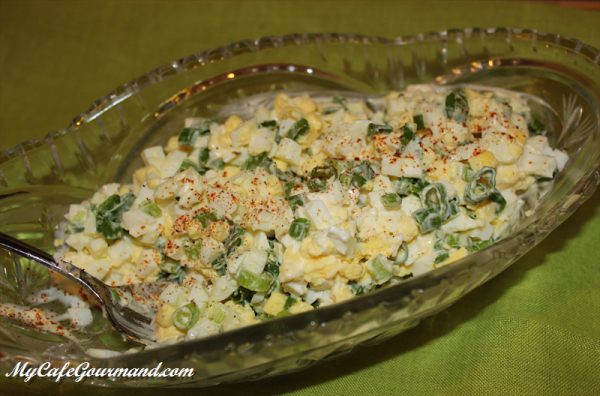 Stir eggs, mayonnaise and green onion in a bowl. Season with salt and pepper. Garnish with some paprika if desire.